Estee Lauder Re-Nutriv Ultra Radiance Lifting Creme Makeup SPF 15, 1oz. 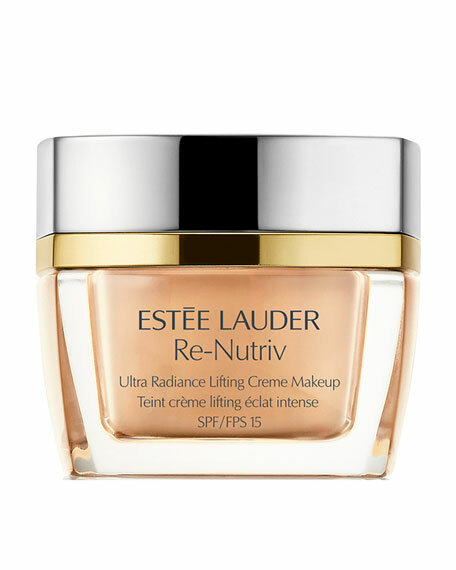 Estee LauderRe-Nutriv Ultra Radiance Lifting Creme Makeup SPF 15, 1oz. 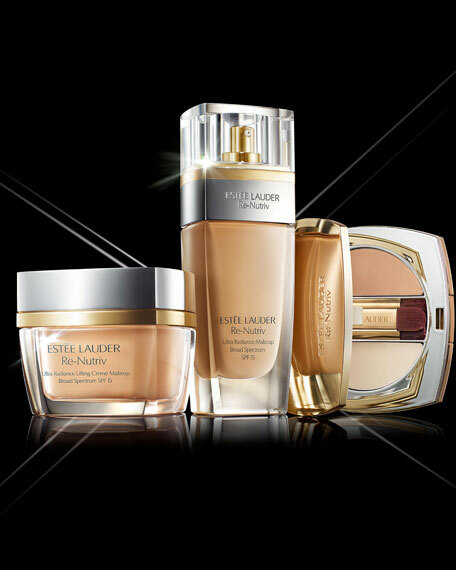 Experience the world's most luxurious creme makeup. Release the light of a million gems. Sends light streaming through a prism of precious micro-fine gems for a flawless finish and jewel-like radiance. This indulgent creme soufflé formula with brush glides on seamlessly, providing an immediate surge of hydration. Re-plumps and helps lift and firm, visibly evening out skintones for smooth, weightless coverage. Contains patented anti-aging technologies with vitamins and antioxidants. For in-store inquiries, use sku #214758.